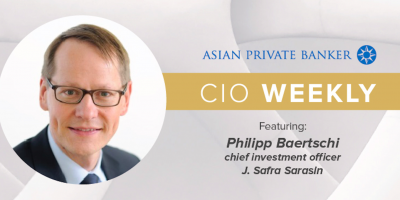 Asia’s largest and best-connected bureau of journalists and researchers delivering independent, authoritative and indispensable intelligence, data and connections solely focused on Asia’s rapidly growing private wealth management communities. 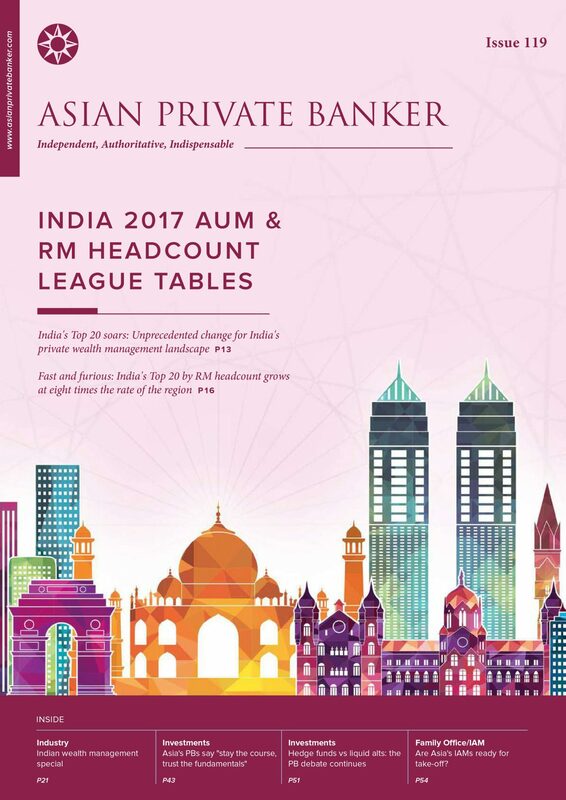 Shruti joined Asian Private banker in 2010 and is the Editor-in-Chief of the publication. Prior to this, Shruti was at Bloomberg as an Associate Stocks Editor. Priyanka joined Asian Private Banker in 2013. Prior to this, Priyanka held various freelance roles in Editorial in London, before moving to Hong Kong as an Associate Producer at CNN International, working with their TV production teams. Priyanka graduated from the University of Nottingham holding a Bachelors of Arts and a Masters in International Journalism from City University London. In her spare time, Priyanka enjoys photography, particularly mobile photography. 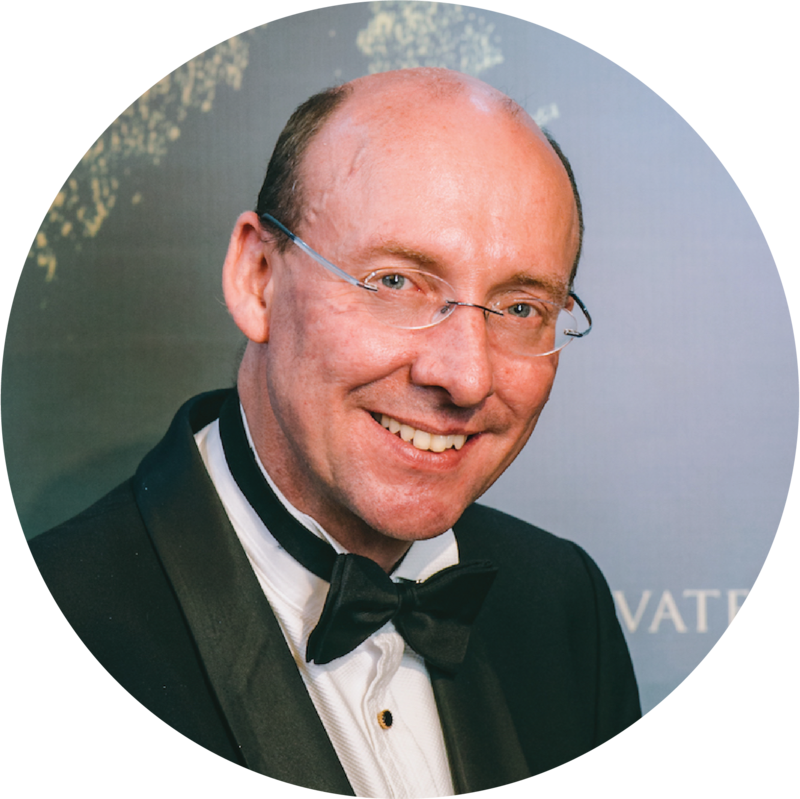 Andrew Shale is the Founder and Chief Executive Officer of Asian Private Banker. 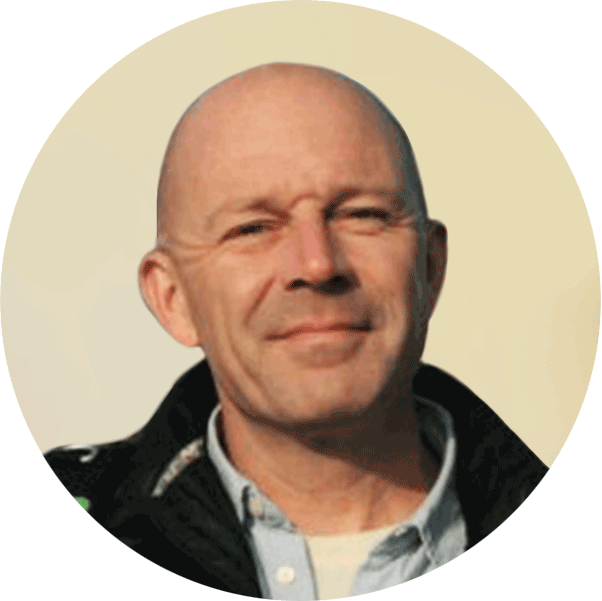 A graduate in Modern Chinese Studies from the University of Leeds, Andrew has lived and worked in Asia since 1989. 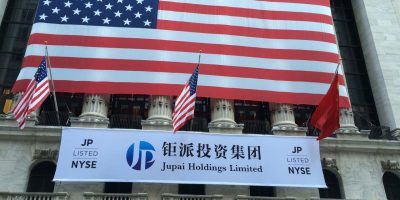 A former investment banker at Shenyin Wanguo International, W.I. 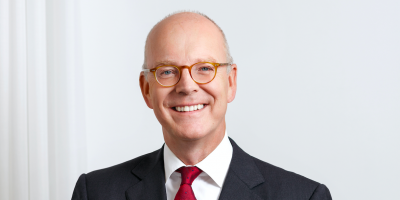 Carr and CLSA Securities, Andrew has worked in financial publishing and events since the late 1990s. Andrew speaks Putonghua, is married and has three children. 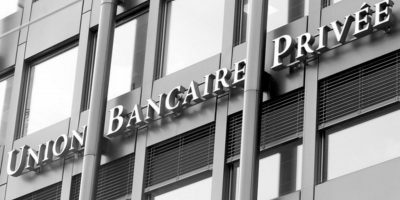 Paris joined Asian Private Banker at the beginning of 2015, having spent almost a decade at Euromoney Institutional Investor plc building their conference division throughout Asia. 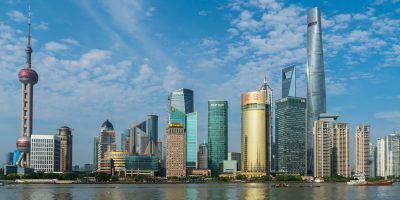 He has been based in Hong Kong and the People’s Republic of China since 2003, and has done business in almost every functional market in Asia, including a few years in Dalian, Shenyang to improve his Putonghua fluency. 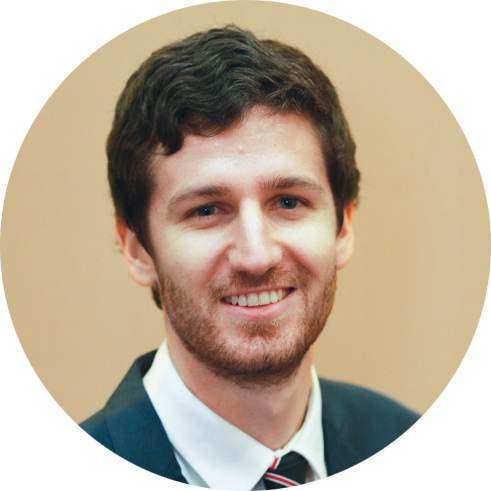 Paris graduated from the University of Adelaide, Australia, and was heavily involved in AIESEC, the world’s largest youth run NGO during his university years. He is an avid scuba diver, lonely Port Power (Aussie football) fan and global adventurer in his (limited!) spare time. Madhuri joined Asian Private Banker in 2010. 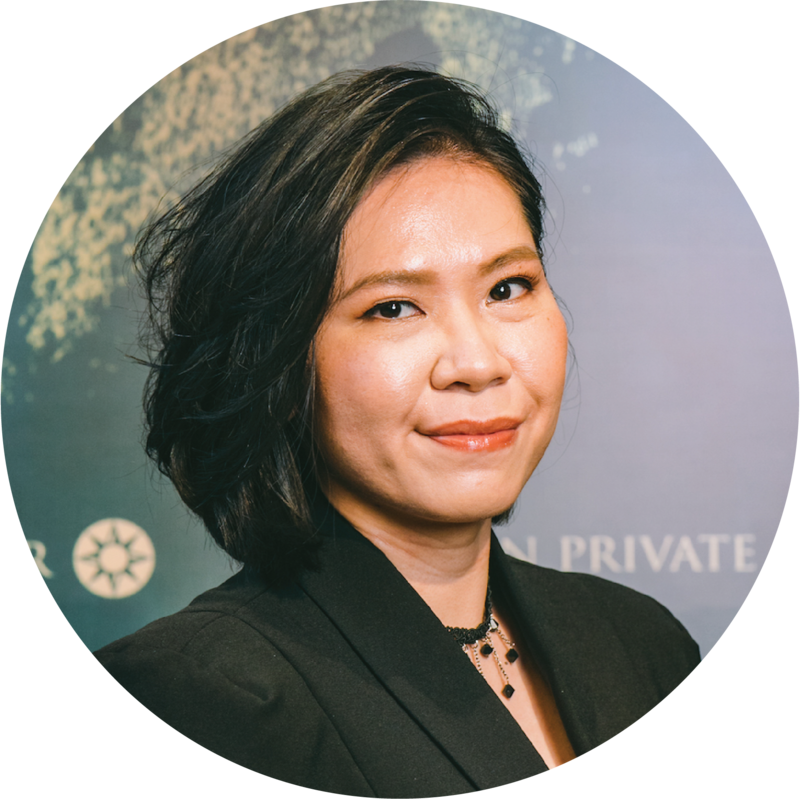 She joined as the Director of Business Development mapping the private banking, investment banking and asset management landscape in Asia. Prior to this, she was in India in a variety of industrial marketing roles with her last stint with the country’s biggest engineering firm, Larsen and Toubro. Result-oriented and fun-loving, Madhuri holds a Bachelor of Engineering from one of India’s premier engineering colleges and an MBA in marketing from NMIMS. She is married and has two lovely children. 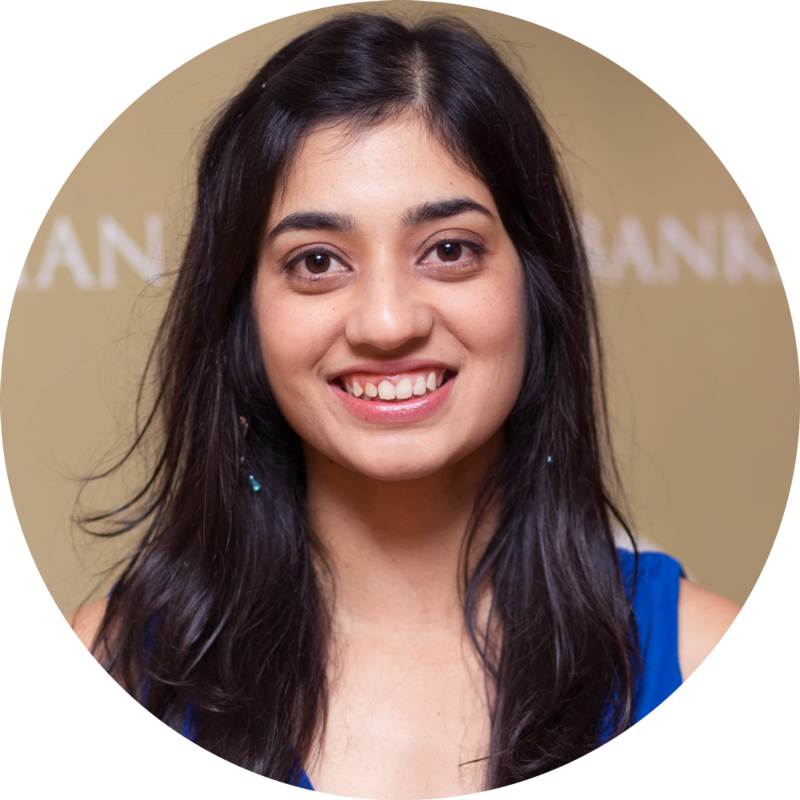 Sonia joined Asian Private Banker in 2013 as an integral part of the business development team. Prior to this, Sonia held various Marketing roles in wholesale, media and fashion industries. 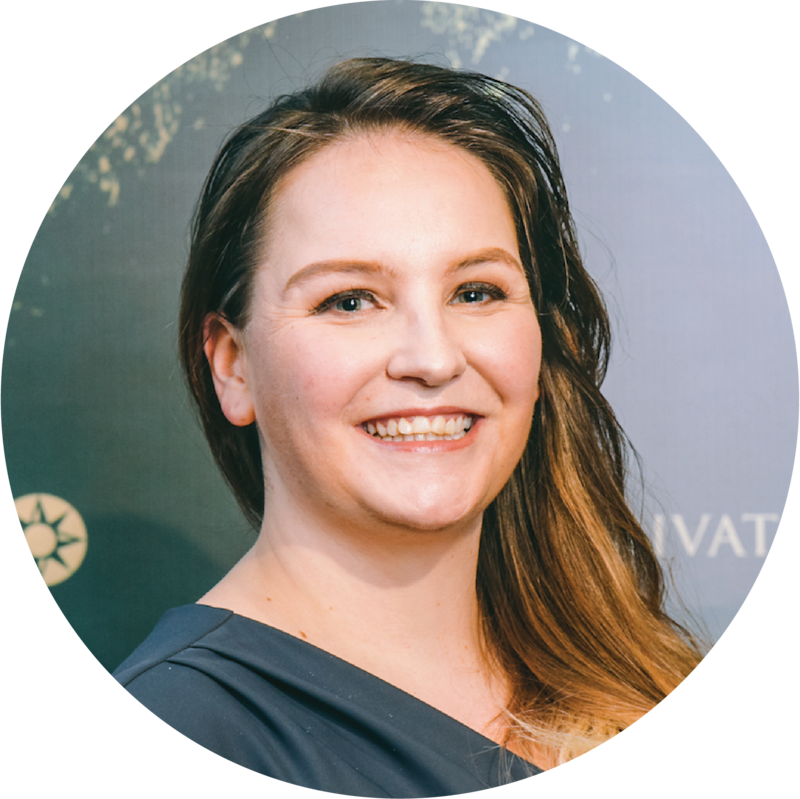 Sonia studied Veterinary Science at the University of Sydney before studying Business Administration at Swinburne University of Technology, specialising in Business, Management, and Marketing. In her spare time, Sonia sits on the Hong Kong Netball Association Committee Board and maintains an active interested in various animal charities, volunteering for Life Long Animal Protection, as well as the Heart Foundation. 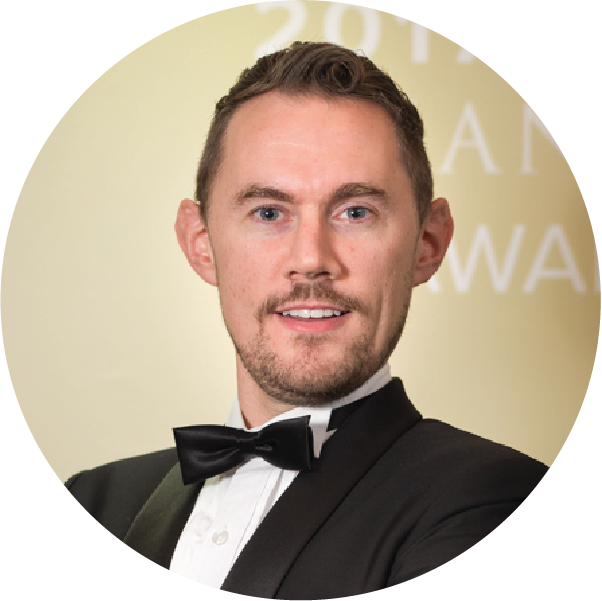 Sam joined Asian Private Banker in 2013 as an Events Manager and became its Head of Content Solutions in 2016. 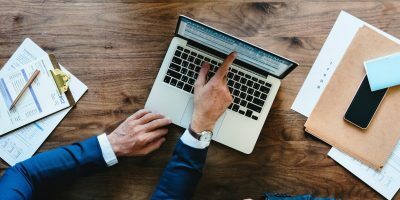 He is responsible for the overall develop of business for Asian Private Banker‘s subscription product and relationship management for its corporate subscription clients. Prior to joining, Sam was planning and executing projects for youth in Tung Wah Group of Hospitals. Sam graduated from City University with a Bachelor of Arts, majoring in International Studies. 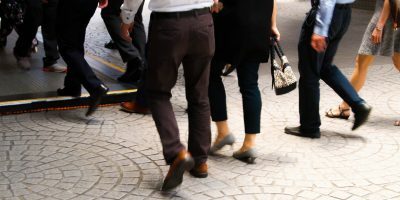 Outside of Asian Private Banker, Sam volunteers for the Junior Chamber International Hong Kong and conducts first aid courses in Hong Kong Red Cross. In his spare time, Sam enjoys jogging, jamming on his guitar and swimming. 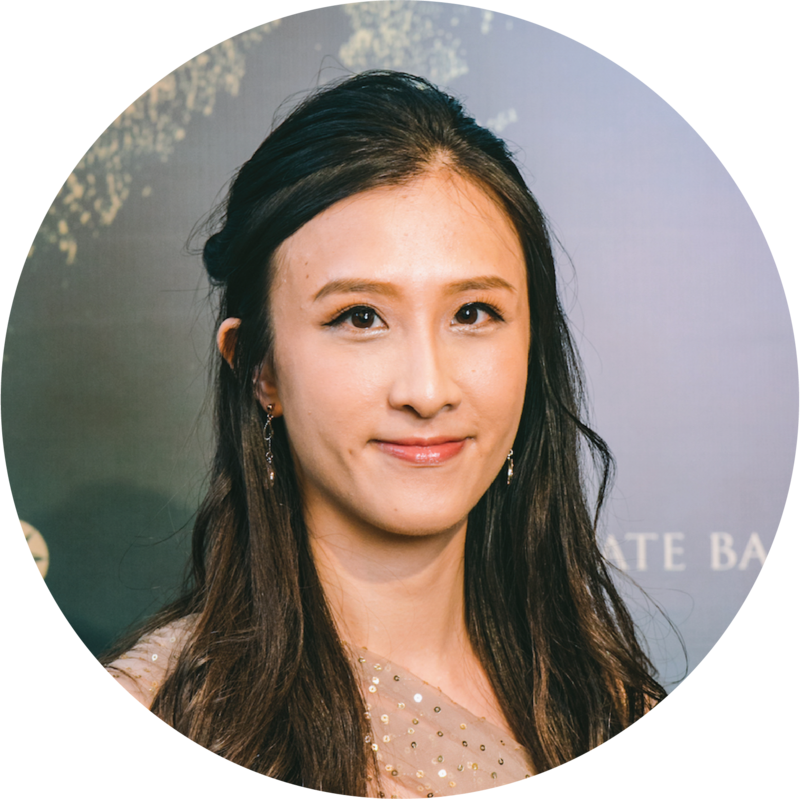 Joanne joined Asian Private Banker in 2016 as the Programme Manager and currently is a Business Development Manager. She graduated from Hong Kong Baptist University with a Bachelor of Arts, majoring in Humanities. She is an outgoing and inquisitive person. 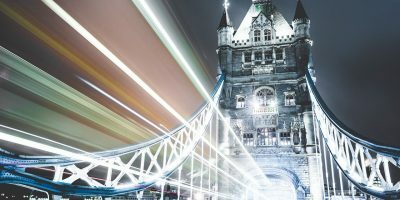 Throughout her study period, she participated in various kinds of exchange programme including UK, Australia, Shanghai and Shandong. Joanne’s interests include exploring the world’s different cultures. Tristan joined Asian Private Banker in July 2015 as its first-ever digital director. Over the last 10 years he’s worked in banking, retail, NGO and publishing industries in Europe and Asia Pacific. He has advanced skills in digital advertising and sales, including social media, content marketing and CRM systems. Tristan has degrees in commerce and arts with specialisations in marketing, management and history from the University of Melbourne. 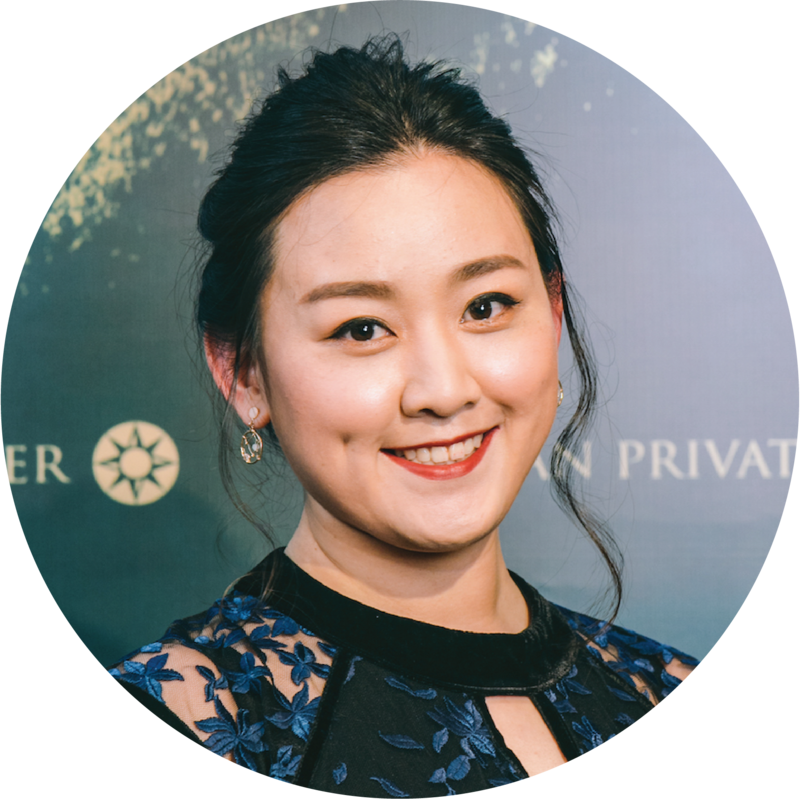 Yiyang joined Asian Private Banker as Digital Manager and Data Scientist. He is mainly responsible for database management and digital data analysis. Previously, He worked at TNS-opinion in Brussels, managing EU public survey data. Yiyang has degrees in both statistics and international relations. He obtained his master degree from KU Leuven and his bachelor degree from Zhejiang University. 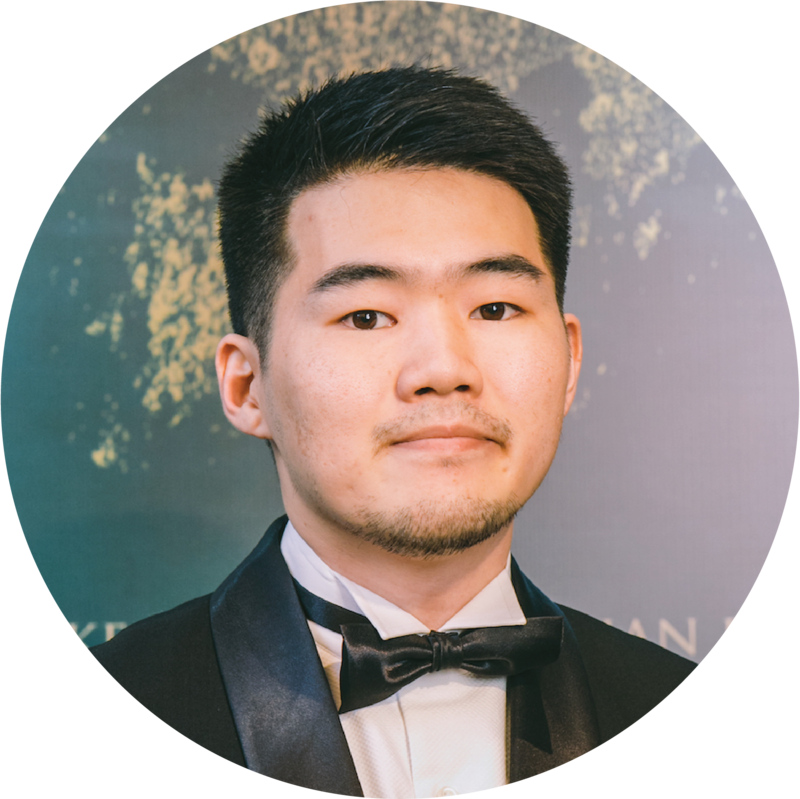 He has joined several research projects in Belgium, Luxembourg and Hong Kong with a strong interest applying quantitative tools in practical business analysis. 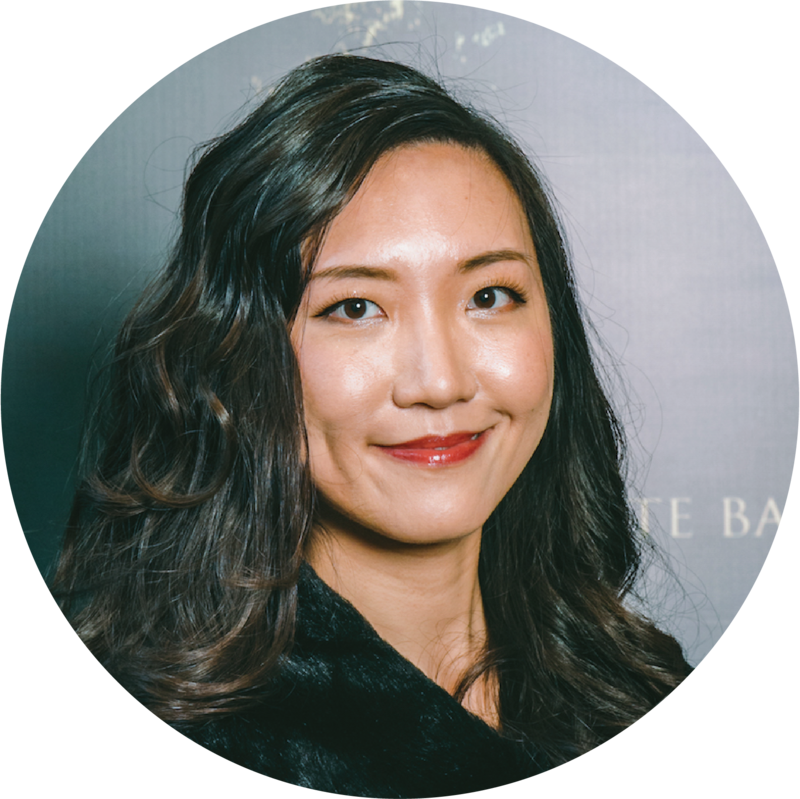 Cécile joined Asian Private Banker in 2016 as Digital Marketing Manager and is Marketing Director since beginning of 2018. She has over 6 years of experience in digital marketing, social media marketing, and content creation. She graduated in 2010 from HEC Montréal, Canada, with a Bachelor in Business Administration, majoring in Marketing and Communications. 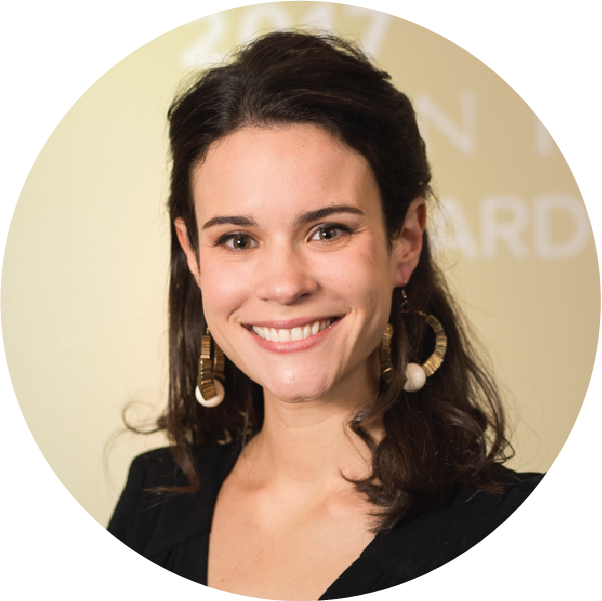 Cécile has lived and worked in 6 cities across 4 continents (Europe, North America, Australia and Asia) and enjoys exploring Hong Kong and all of its hidden gems. Shunta joined Asian Private Banker in 2017 as an Events Associate and joined the Research Department shortly after as a Researcher. 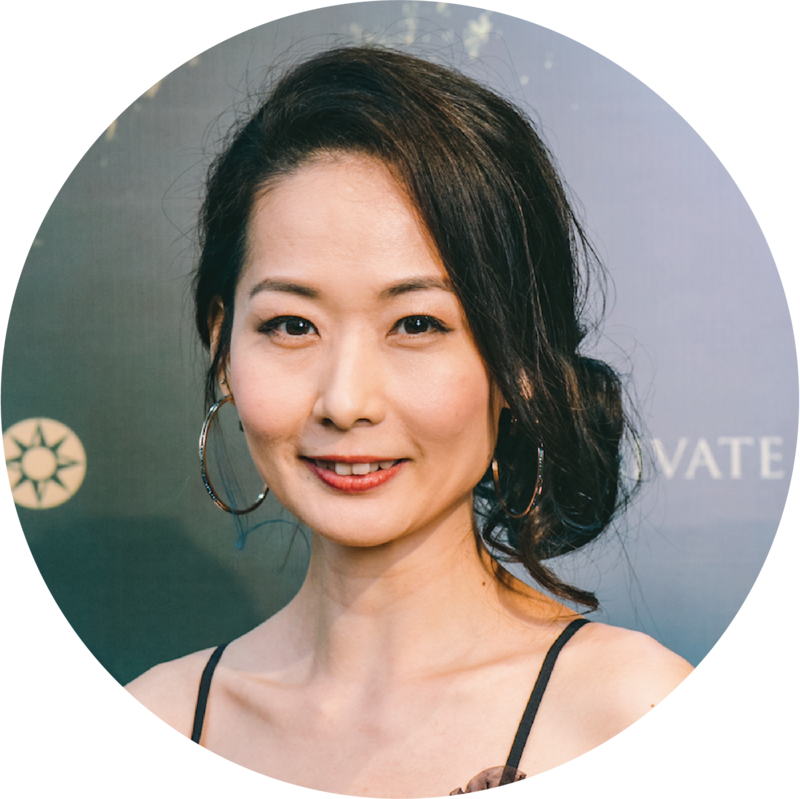 Originally from Japan, Shunta graduated from Loyola Marymount University in Los Angeles with a Bachelor of Arts in Economics, minoring in Chinese Studies. 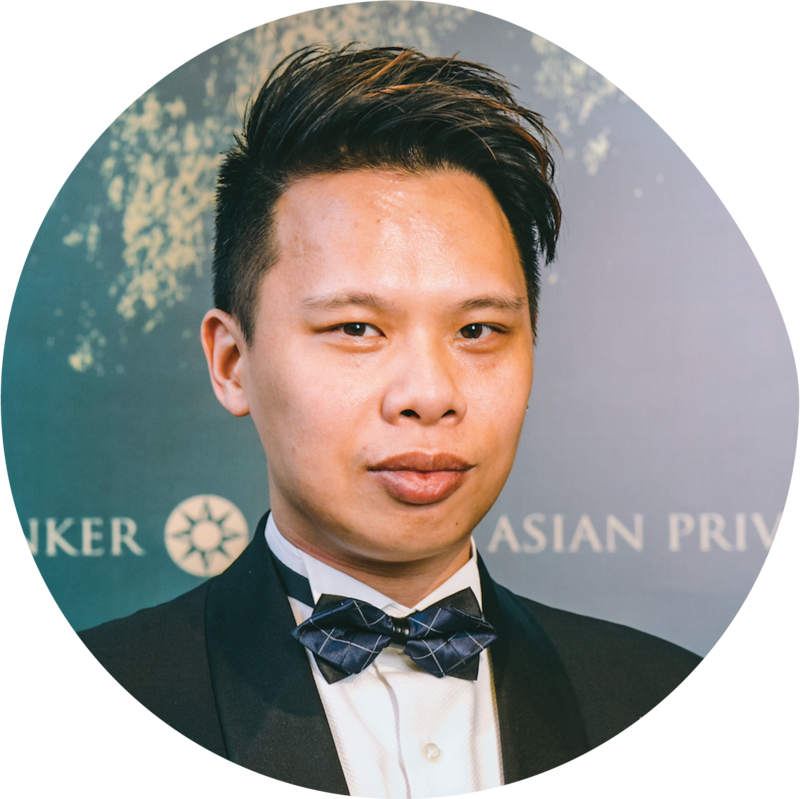 Koye joined Asian Private Banker in February 2016 as Events Manager. Prior to joining, Koye was handling events and sales in Press Room Group. Koye graduated from University of Hong Kong with a Bachelor of Arts, majoring in Linguistics (Communication). 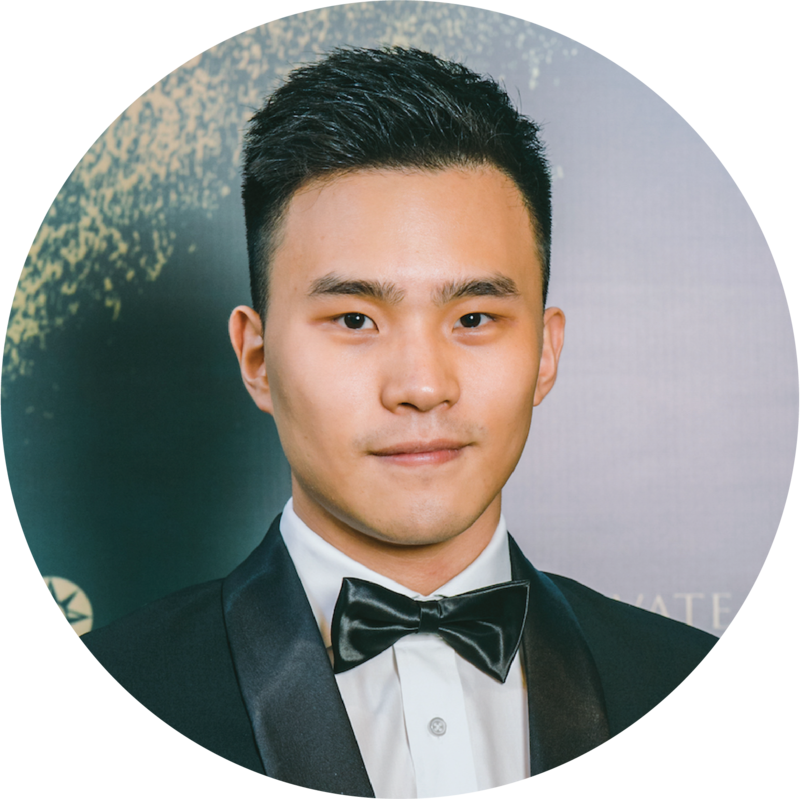 Dennis joined Asian Private Banker in 2016 as an Administrative Assistant. 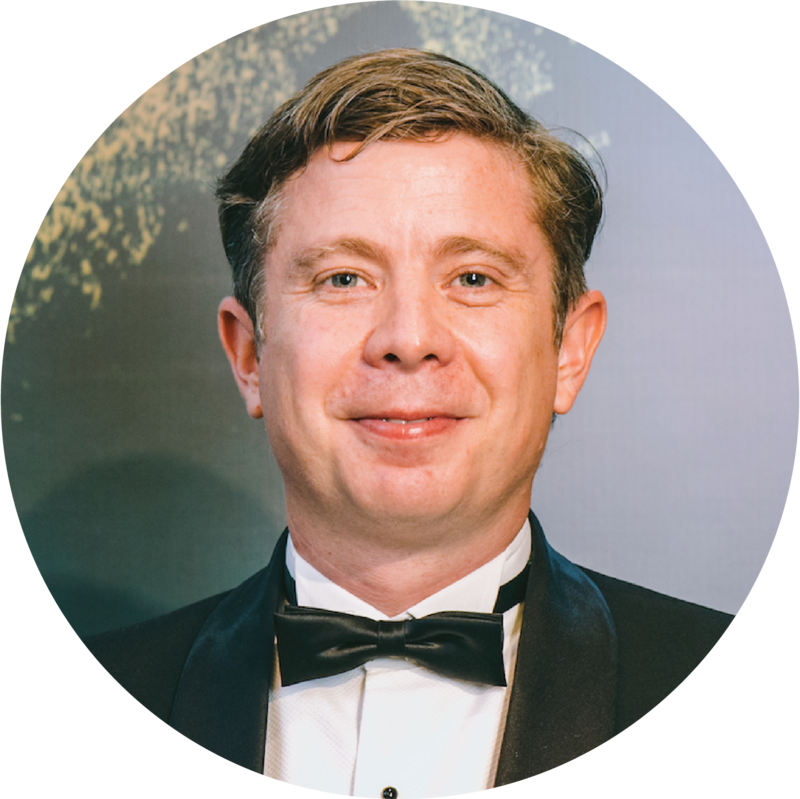 Having gained years of customer service and administrative experience in the aviation industry, Dennis utilises his organisational passion to support the Asian Private Banker office. Dennis is currently pursuing his studies in human resources and plans to specialise in employment law. 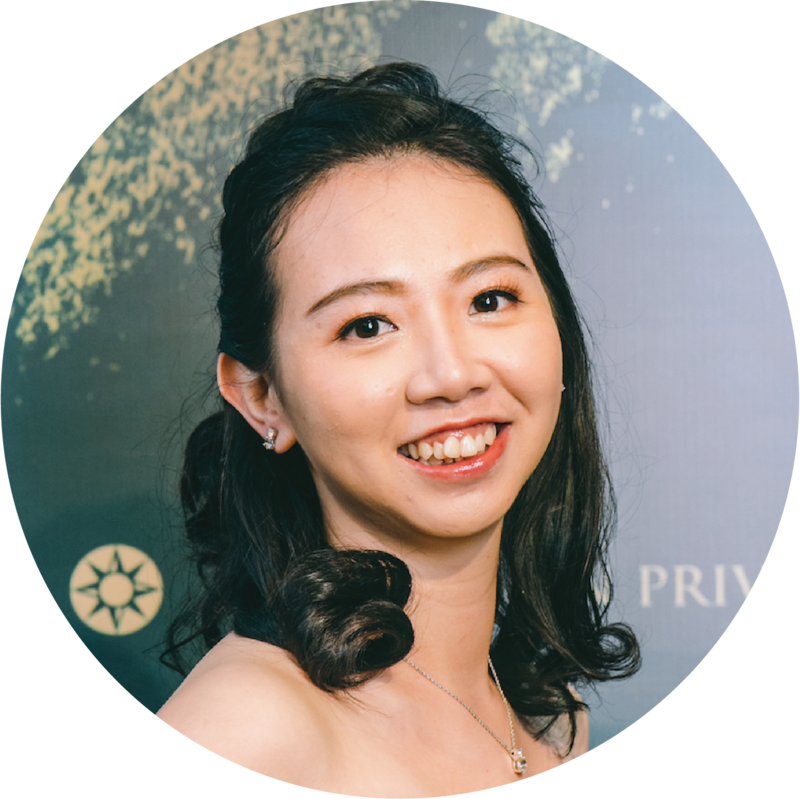 Evy joined Asian Private Banker in March 2017. 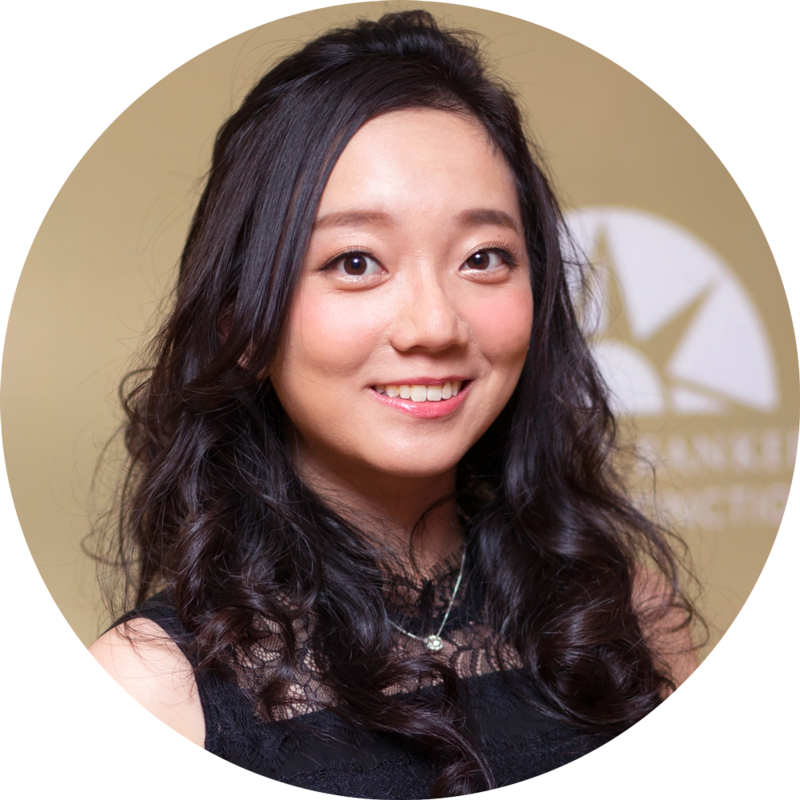 Alice joined Asian Private Banker in 2015. 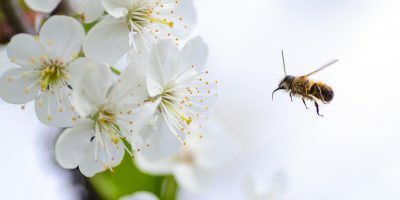 Ever since she taught herself HTML in order to create her very first web site, she got seriously involved with the internet and the rest is history. When she’s not working in front of the computer fixing various things or managing some servers, she enjoys swimming, watching scary movies and drawing from life models. Alice graduated from the Chinese University of Hong Kong with a degree in Fine Arts. 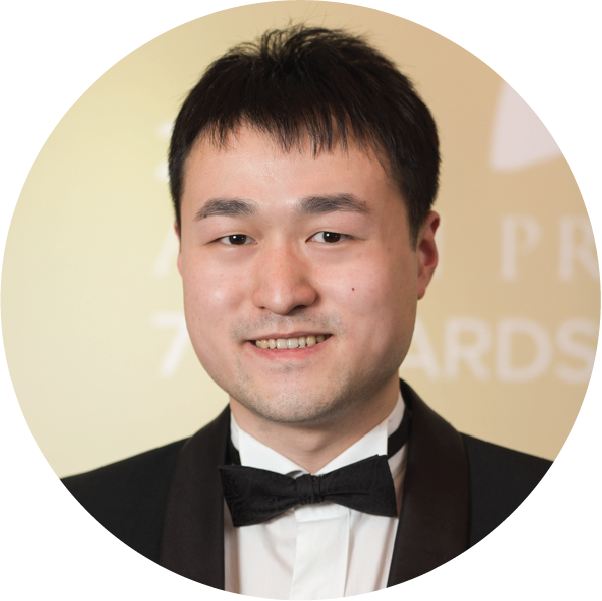 Karman Wu is the Head of Finance & Operations of Asian Private Banker. She holds a Bachelor in Economics from Hong Kong University of Science & Technology and a Master of Business Administration jointly run by University of Sydney & University of New South Wales. Karman is a qualified accountant with HKICPA & ACCA and has extensive work experience in MNC startups and CRM & HRM systems design and implementation. In her leisure time, she loves traveling, hiking and playing badminton. 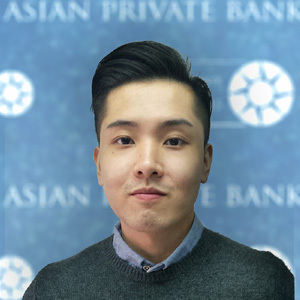 Nick joined Asian Private Banker in 2017. 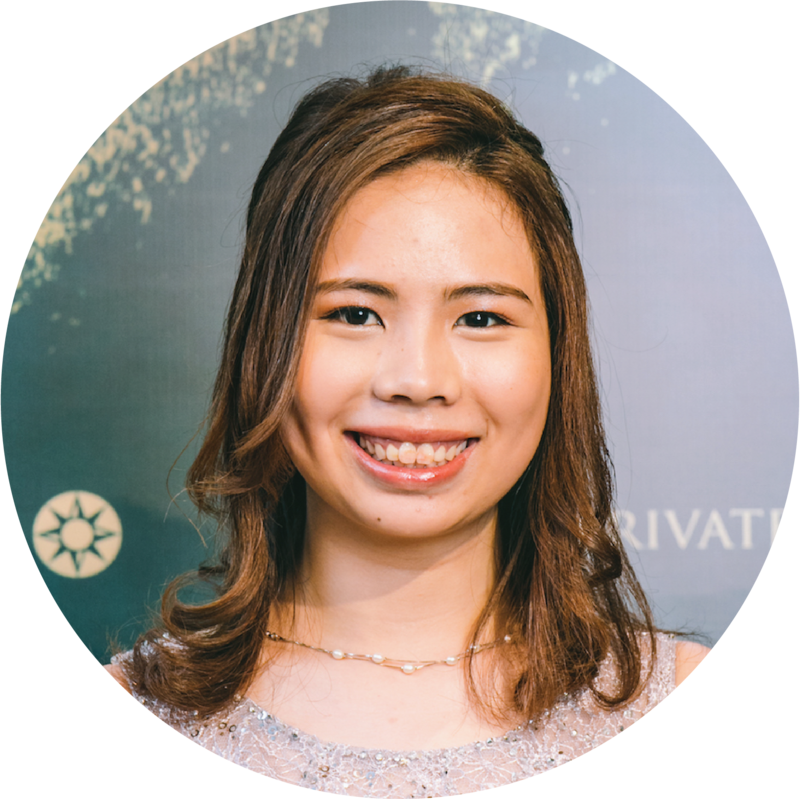 Martina joined Asian Private Banker in 2017 as an Administrative Assistant and is enthusiastic about supporting and looking out for her team. She graduated from the University of Central Lancashire with a Bachelor of Arts in English for International Corporate Communication. Prior to joining, Martina was the Sales Assistant in a Japanese-based trading company. 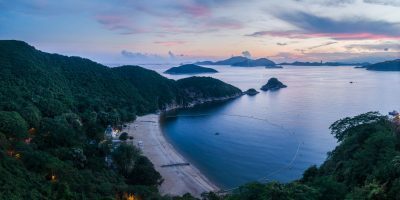 She is a certified Diving Coach in Aquatic & Land Training from The Hong Kong Amateur Swimming Association and loves to interact with students. For leisure, she enjoys practicing yoga and travelling. 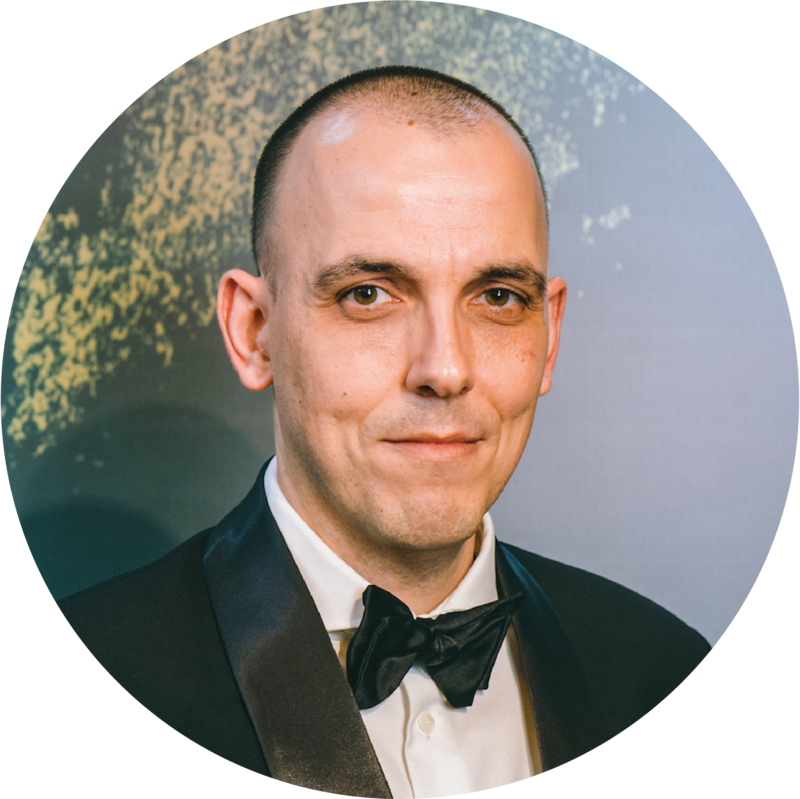 Stratos Pourzitakis is the Head of Research of Asian Private Banker where he is leading a wide spectrum of research projects on Asia’s private banking and wealth management industry. He is also a part-time lecturer at Hong Kong Baptist University Department of Government and International Studies, where he teaches statistical and survey methods for political science, as well as topics on Asia’s economy and politics. 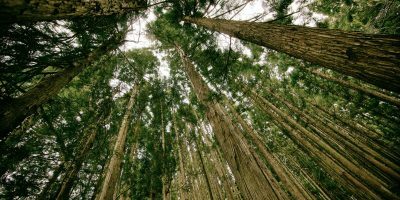 In the past, Stratos worked for the Hellenic Ministry of Finance and he led a number of research projects including a research grant offered by Konrad Adenauer Stiftung Hong Kong that examined emissions trading in East Asia. Stratos holds a Bachelor in Accounting and Finance, a Master of International Public Policy from Osaka University. 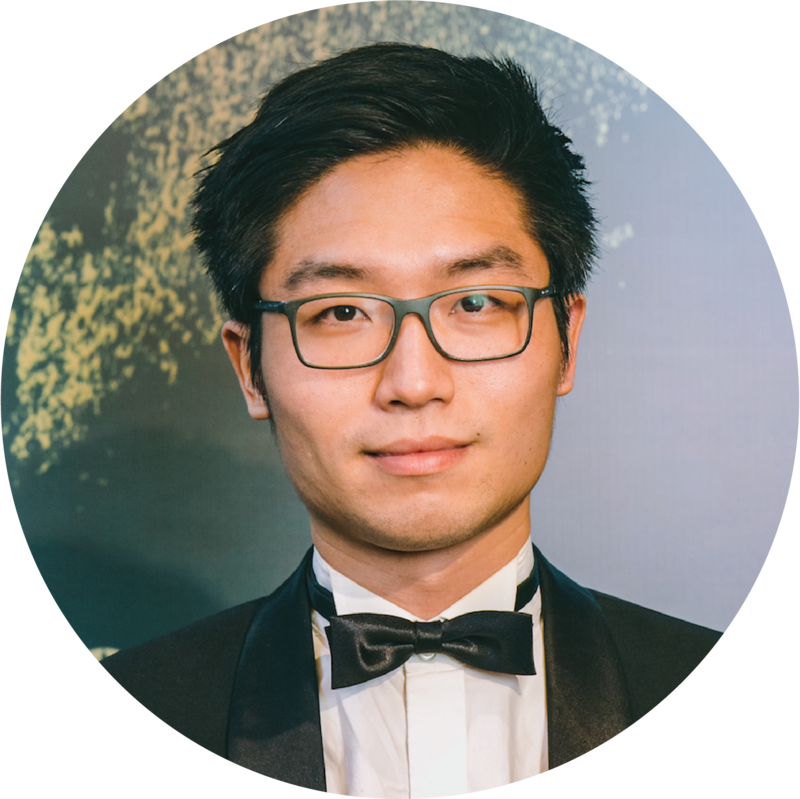 In 2017 he received a PhD in Government and International Studies from Hong Kong Baptist University and his PhD dissertation examined energy hedging in China and the EU. 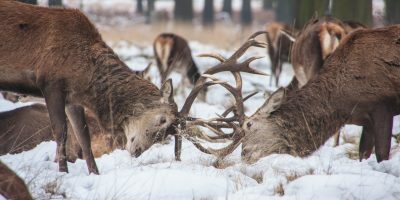 Stratos’ research has been funded by the European Commission and the Japanese government and it has been published by peer-reviewed journals, edited volumes and think-tanks including SIPRI and Carnegie Europe. 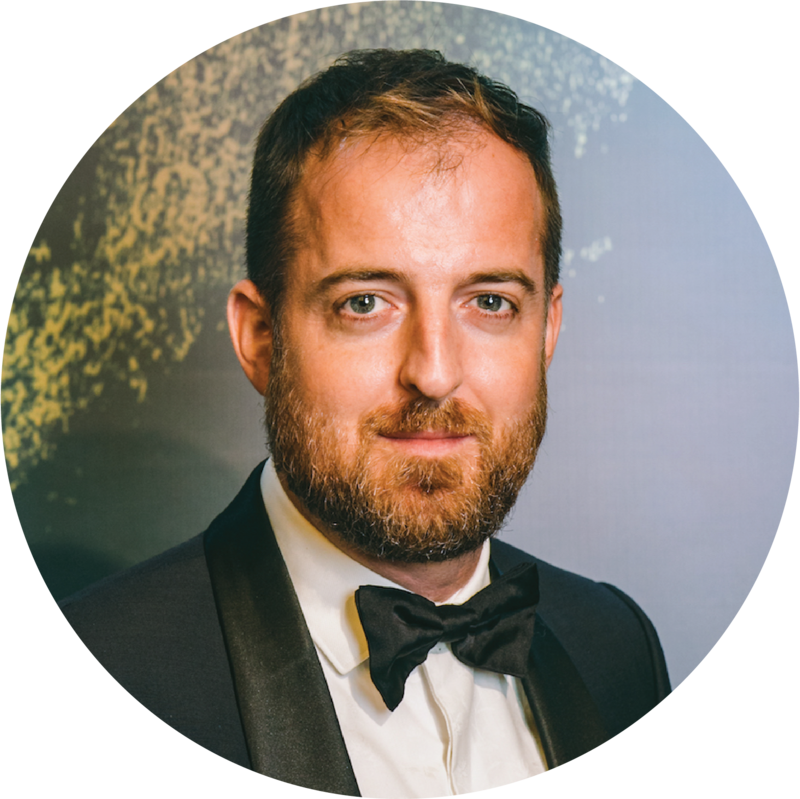 Stratos is a member of the French Chamber of Commerce in Hong Kong, the Green Finance Task Force of Hong Kong and he has conducted research with the Financial Services Business Council of the European Chamber of Commerce in Hong Kong. Stratos speaks Japanese, French and some Putonghua. Simon Parry is a Hong Kong-based journalist and a foreign correspondent whose stories and features have appeared in major newspapers and magazines worldwide including the Mail on Sunday, the Sunday Times, The Daily Telegraph and the Daily Mail in the UK as well as the New York Daily News and The Australian. 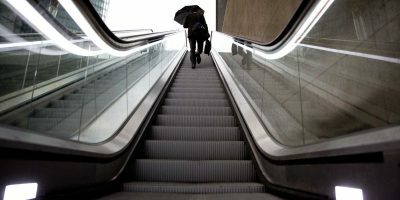 Before moving to Asia, he was one of the youngest news desk executives on to work on a national newspaper in London and went on to serve as news editor of the South China Morning Post in Hong Kong. As a foreign correspondent, Simon has written stories and features from more than 20 countries including China, India, Pakistan, Myanmar, New Zealand, Tonga, Fiji and North Korea. He has been shortlisted as Foreign Reporter of the Year in the UK Press Awards. 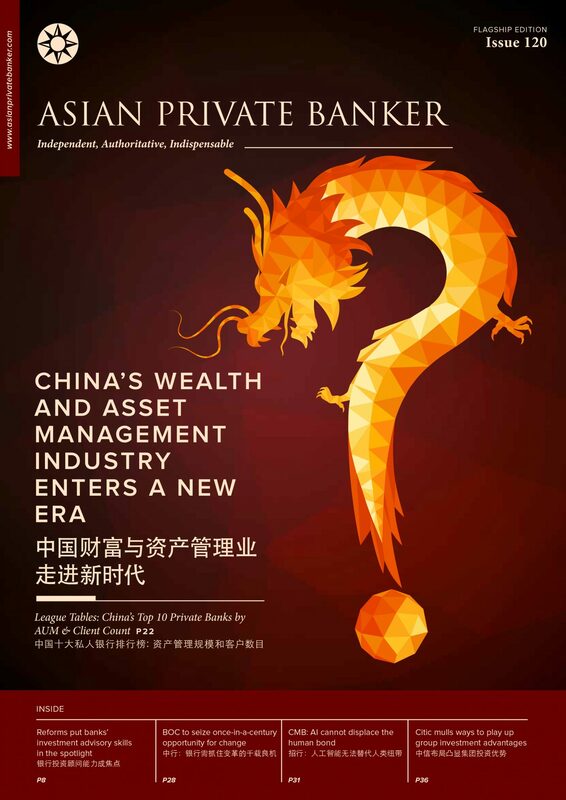 Sebastian Enberg is the Editor of Asian Private Banker. His background is in international politics, and Chinese foreign policy and security. 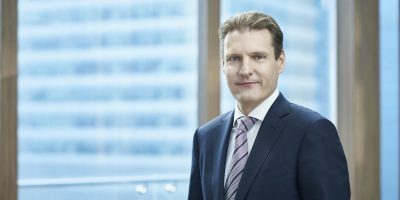 Sebastian graduated from Victoria University of Wellington with a Master of Strategic Studies majoring in Strategic Intelligence, and more recently, from the City University of Hong Kong with a Master of Arts. In 2012, Sebastian was awarded the university’s Top Scholar Prize for his cohort. 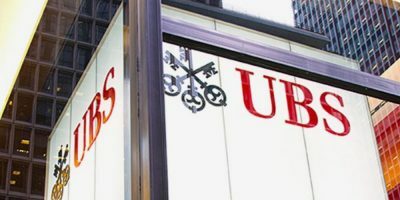 Richard joined Asian Private banker in 2012, where he covers a multitude of facets in Asia’s private banking industry including asset management, capital markets and recruitment. 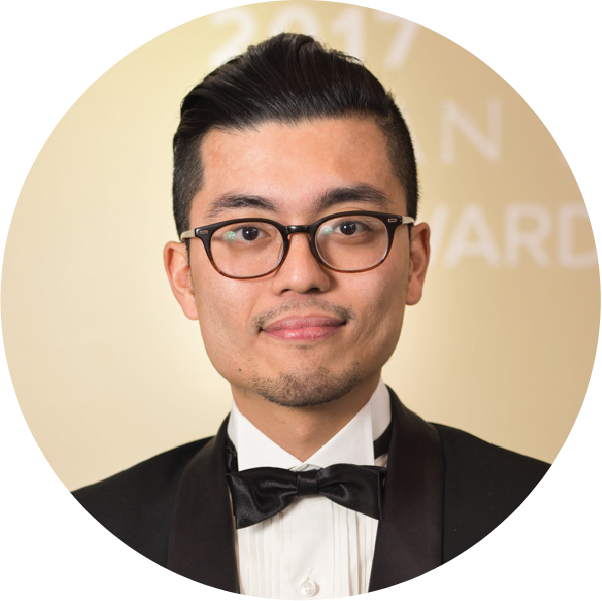 Richard graduated from Hong Kong Baptist University with a Bachelors of Arts in English Literature with a specific focus on postmodern literary theory. In his spare time, Richard is an avid fan of basketball both as a player and spectator. Charlene is an experienced, multi-lingual journalist covering global financial markets from both top-down and bottom-up perspectives. 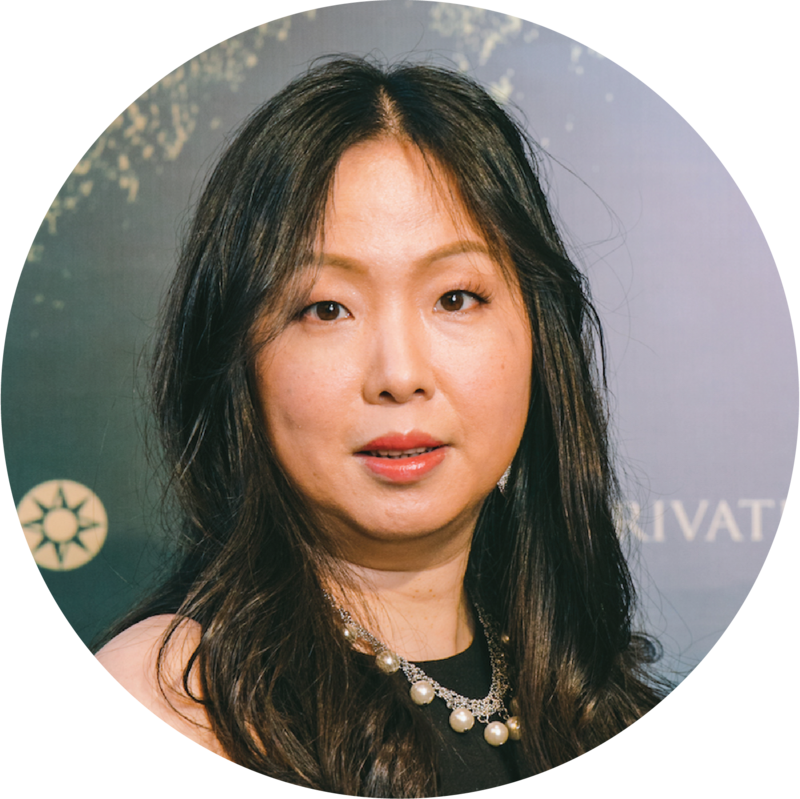 With an in-depth understanding of different asset classes and investment solutions, she is responsible for the coverage of capital markets, funds and structured products for the region’s private wealth management industry. 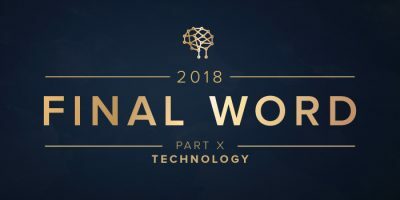 Charlene has an established track record of generating exclusive and impactful financial features and has been a contributor to various functions, hosting and moderating panels with C-suite leaders of the investment community. She holds a master’s degree from the University of Hong Kong and is currently a CFA Level III candidate. She is fluent in English, Mandarin and Cantonese. 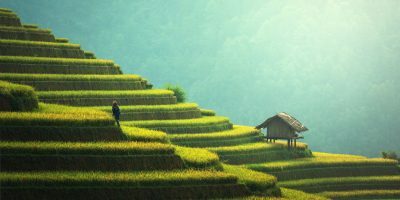 Ben joined Asian Private Banker in 2011 as a Business Development Manager before becoming its Head of Operations shortly after. Since then, Ben has joined the editorial team as the Editorial Director. A native of Vancouver, Canada, Ben graduated from Purdue University with a Bachelor of Arts in Visual Communications Design. 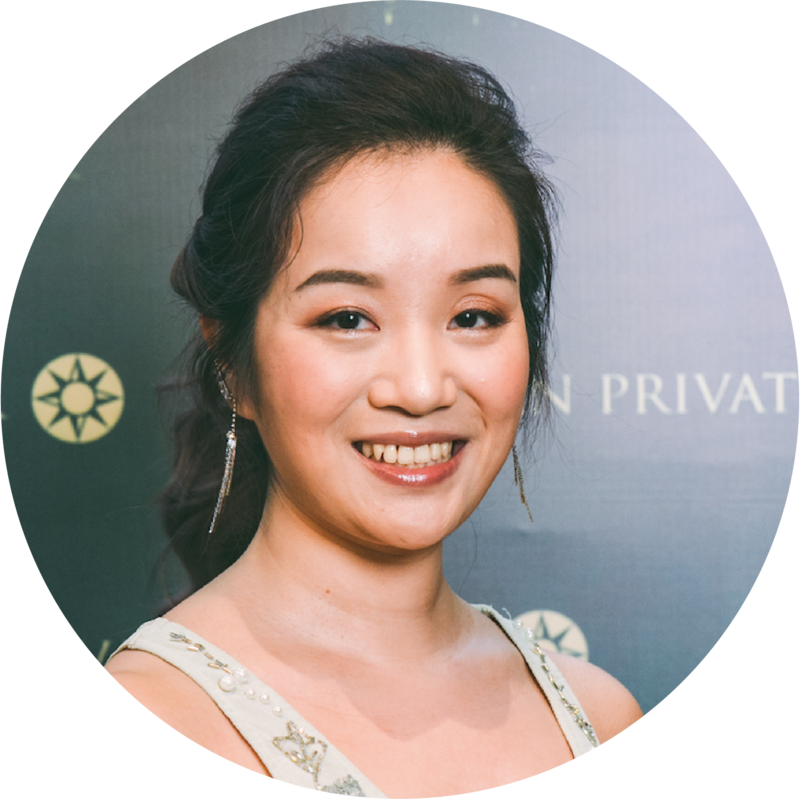 Alice joined Asian Private Banker in 2017. As a passionate journalist and local Hong Konger, Alice previously worked at Ming Pao as an investment page reporter and Asia Television Limited as a reporter in feature news program. She received the Best New Comers (Chinese Publication) State Street Institutional Press Award in 2016. Alice graduated with First Class Honours from the Shue Yan University with a Bachelor of Arts in Journalism and Communications. As a Christian, she is enthusiastic in church activities and youth mentorship in her spare time, as she believes the future lies in the hands of youth. 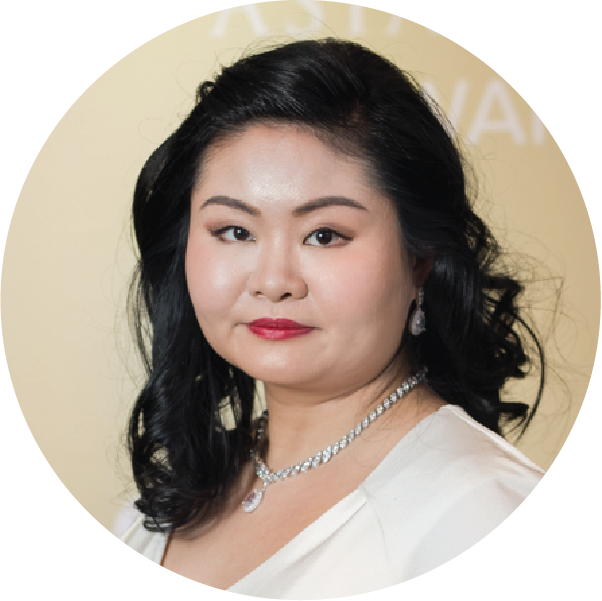 Gigi is the Awards & Public Relations Manager and is in charge of the planning and coordination of Asian Private Banker’s suite of awards, in addition to the management of all PR-related matters. She graduated from The Hong Kong Polytechnic University with a Bachelor of Science (Honours) in Hotel Management. She is passionate about volunteering and regularly organises events to help those in need. Liz is the China editor of Asian Private Banker. 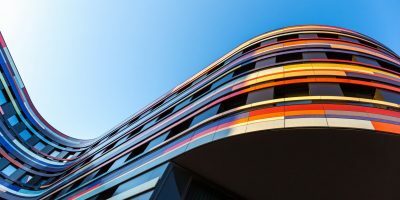 She started her career in the media industry with Pacific Prospect, a business of Incisive Media focused on the regional fixed income and structured products markets in 2006. She has covered China’s onshore institutional and wholesale asset management market since 2007 as the Greater China correspondent of AsianInvestor, a business of Haymarket Media.Between 2010 and 2015, she has spent five years in fund management industry, having worked with some of the most storied international investment managers who invest into the Chinese domestic market through the Qualified Foreign Institutional Investors programme, and participated in the industry drafting process for the China-Hong Kong Mutual Recognition of Funds programme, before she returned to writing.Liz has interviewed Nobel laureates, China’s most influential investors, senior officials at the Asset Management Association of China, China Securities Regulatory Commission, China Insurance Regulatory Commission, the Ministry of Finance, as well as their counterparts in Hong Kong, Singapore and Taiwan.Off-duty, Liz is a cinephile, audiophile, history buff and occasional sailor. Tiffany joined Asian Private Banker in 2018 and copy edits everything that falls on her desk. She double-majored in English and Philosophy before receiving her Honours degree in English Literature from the University of the Witwatersrand in South Africa. After garnering experience editing educational and entertainment publications, she felt private banking was the next logical step. 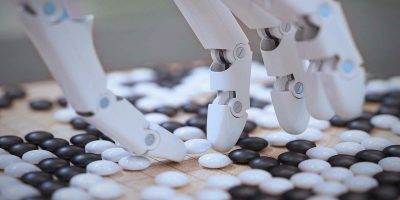 She is currently embarking on a second degree – this time in Economics – and in her limited spare time enjoys reading, doing jigsaw puzzles, playing board games, hiking, and petting every dog she can in Hong Kong. 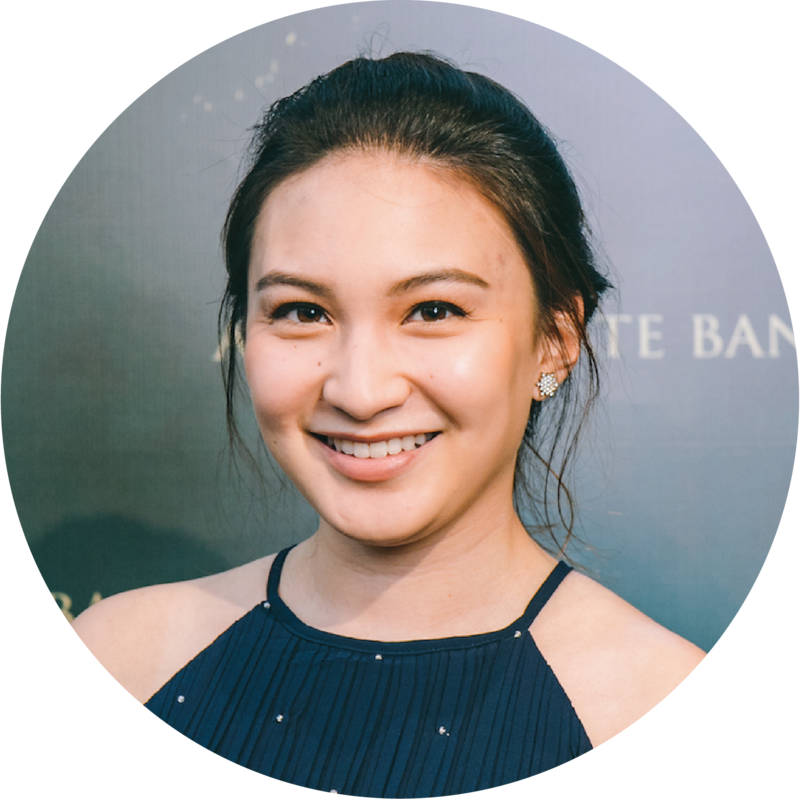 Rebecca joined Asian Private Banker in 2018 after interning with the editorial and research teams in the summer of 2017. 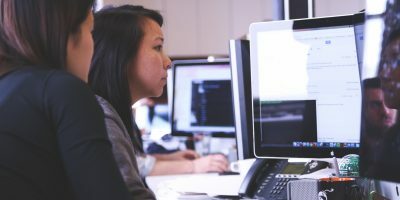 She covers technology, learning and development, and other areas. 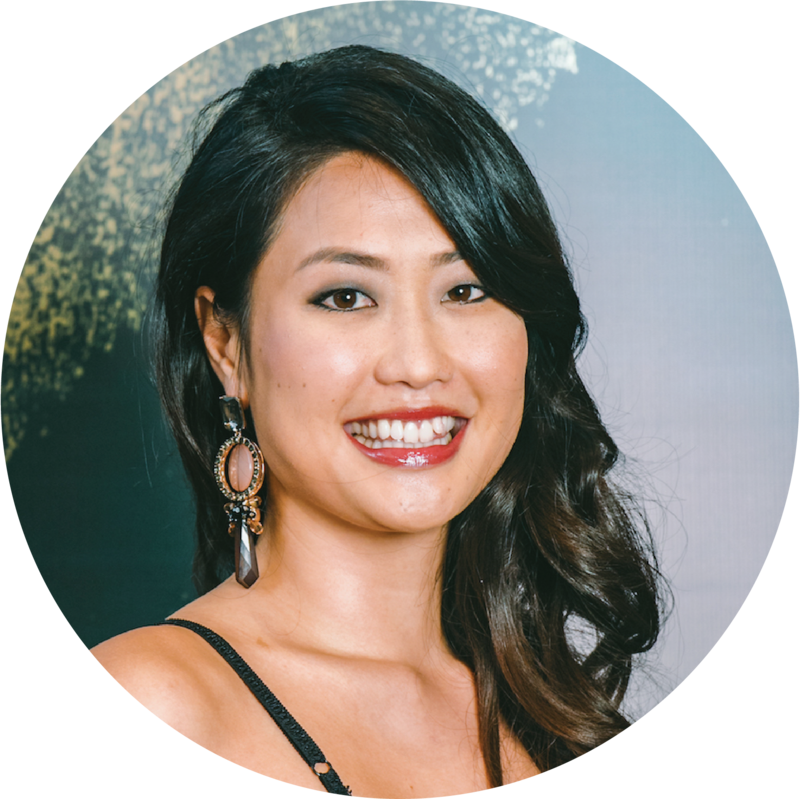 Rebecca currently serves as the co-vice president for the Asian American Journalists Association – Asia (AAJA-Asia), where she champions journalism through workshops, events, and annual conferences. 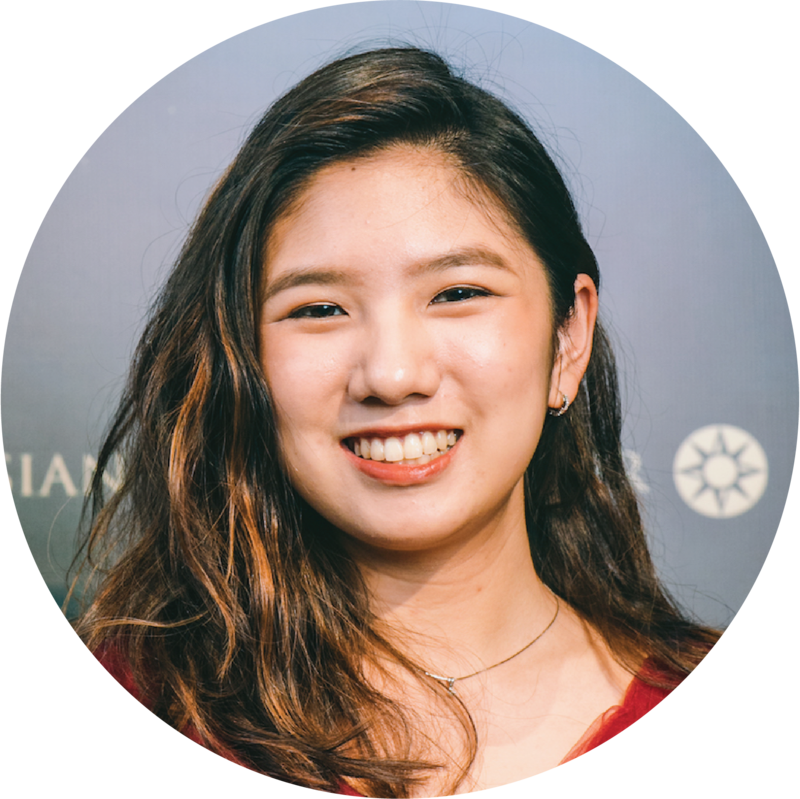 She also volunteers as the marketing manager for TEDxWanChai and events coordinator for the Hong Kong International Literary Festival. Rebecca graduated from the Hong Kong University of Science and Technology with a BBA in Global Business and Finance. In her free time, she loves to brew a good cup of coffee and delve into third culture literary works. 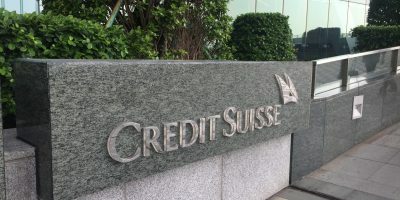 Tin Tin joined Asian Private Banker in 2018 as a senior reporter. 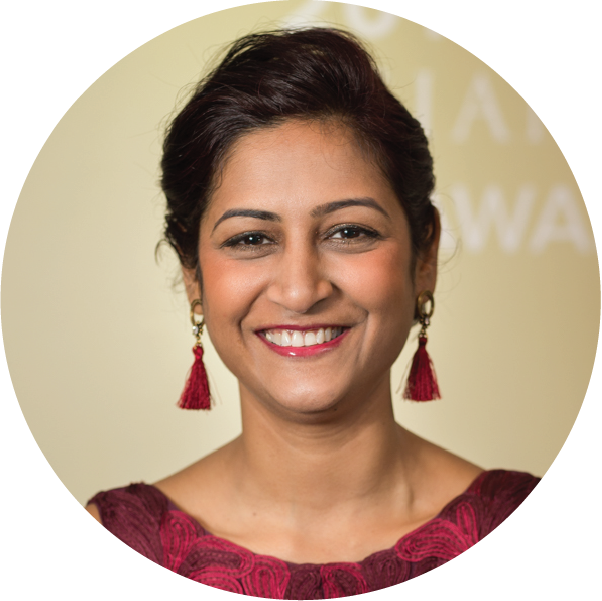 She is primarily responsible for covering the wealth management markets of Southeast Asia and India. Prior to Asian Private Banker, Tin Tin was the Deputy Editor of Acuris Studios Asia Pacific (formerly Mergermarket). She has a Bachelor of Arts in English Studies (First Class Honours) and a Master of Philosophy in Literary Studies in English from The University of Hong Kong. 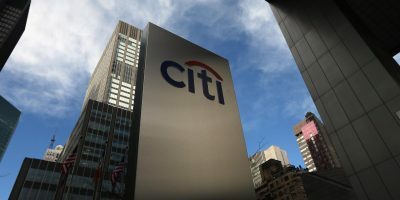 Patricia joined Asian Private Banker in November 2018. Prior to joining, she started her career at a local community magazine dedicated to Lantau residents, where she gained experience in editorial, digital and sales. 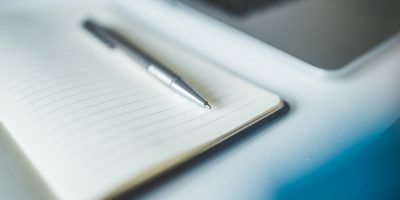 Fascinated by the endless opportunities to engage with people, brands and businesses, she decided to embark on a more specialised role in marketing. Patricia graduated from The Hong Kong Polytechnic University, majoring in English Studies for the Professions (First Class Honours). In her spare time, she likes catching the latest films, going on food adventures, and exploring new cultures. 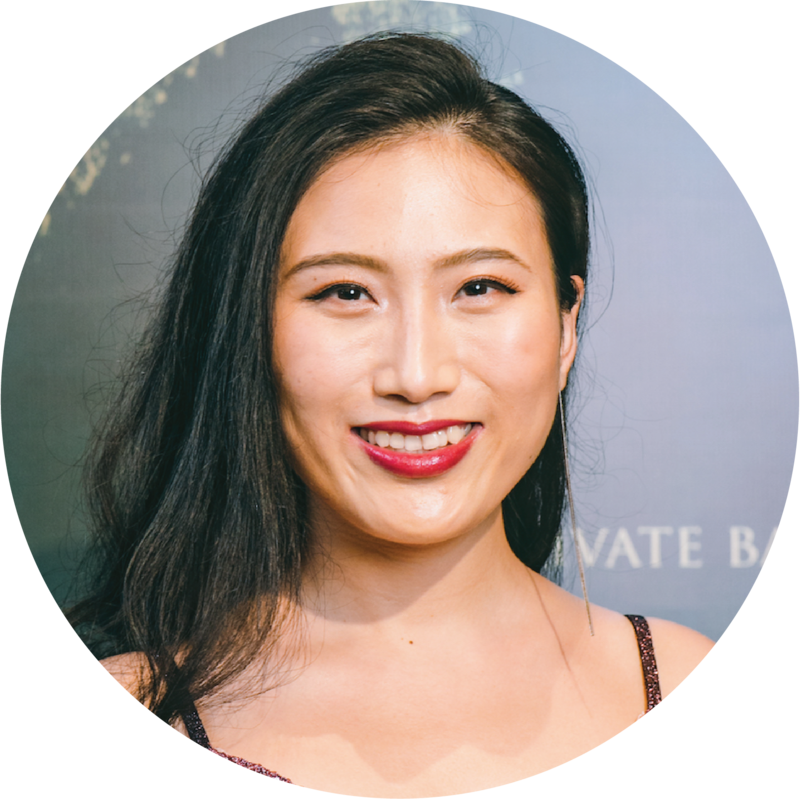 Jacqueline joined Asian Private Banker in 2017. With over ten years of experience creating compelling campaigns, Jacqueline leads Asian Private Banker’s company branding and design strategy. She brings unique concepts and a fresh perspective to the table, having managed design teams for companies like Galaxy Entertainment Group, Turner Broadcasting System Asia Pacific, and Fluid Design and Marketing. Jacqueline graduated from Kwantlen University College in Vancouver, Canada, specialising in Graphic and Visual Design. She also holds 2D and 3D design certificates from the Emily Carr Institute of Art and Design. 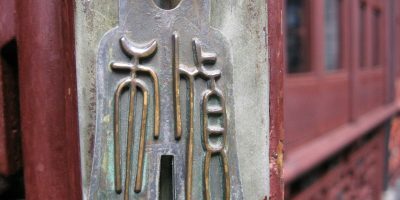 In her free time, she enjoys exploring Hong Kong behind her film camera lens, attending craft fairs, and burying herself in design and typography books. 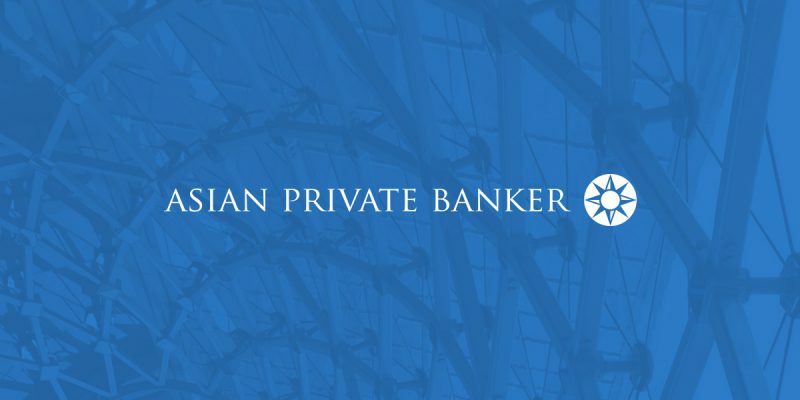 Xenia So joined Asian Private Banker in 2018. She holds a Bachelor of Professional Accounting from The Open University of Hong Kong and is a qualified accountant with The Hong Kong Institute of Certified Public Accountants. She is in charge of accounts payable, fixed assets, and month-end journals. Xenia has a daughter and also takes care of a chinchilla. 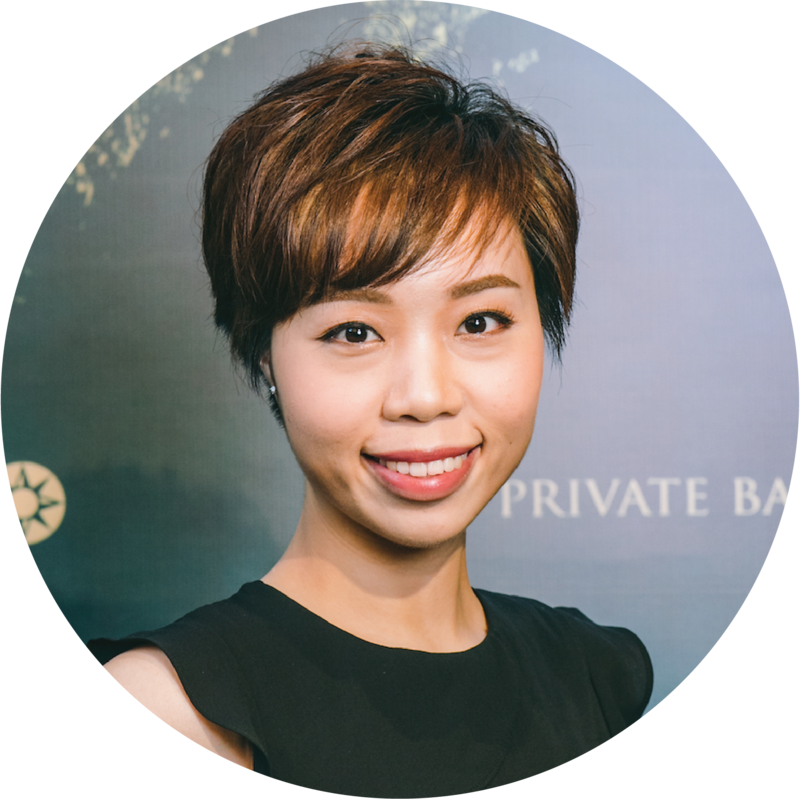 Yuki joined Asian Private Banker in 2017 and is now the company’s Accounts & HR Officer responsible for account receivables and human resources planning. She holds a Bachelor of Professional Accounting from The Open University of Hong Kong. Prior to joining, Yuki was a part time course coordinator in a kindergarten and a piano teacher. She loves to teach and interact with kids and students, and enjoys music and travelling. 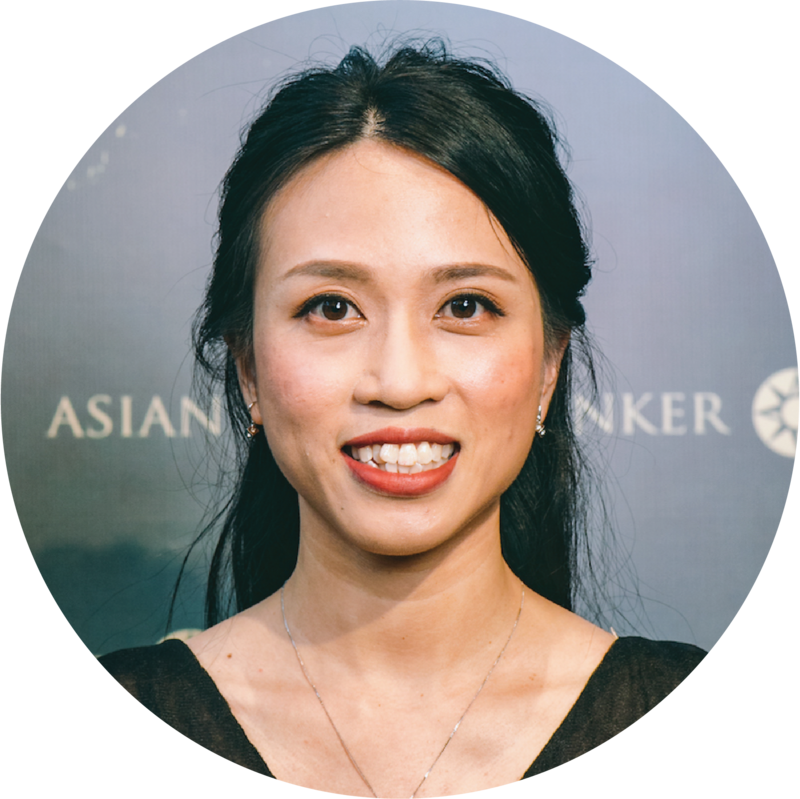 Sanya joined Asian Private Banker in 2015 as a Consultant for internal research and is responsible for collecting, analysing, and presenting data. 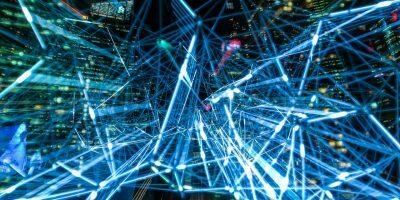 She maintains sophisticated database structures and systems that support data collection and designs research strategies to fulfill the needs of specific research projects. Before Asian Private Banker, Sanya worked in the internal audit department of K-Electric Pvt Ltd and as a freelancer. 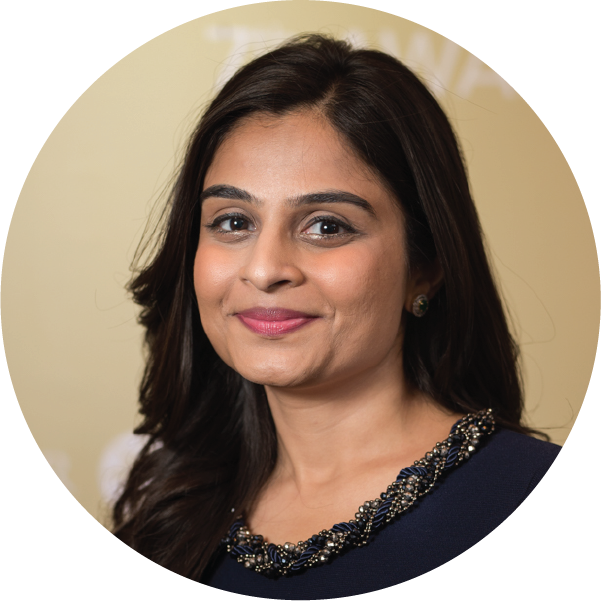 Sanya is a qualified member of the Association of Chartered Certified Accountants and completed her Bachelor of Commerce from the University of Karachi. Sanya is also a member of the Community Emergency Response Team in her locality. She is an active volunteer and tries to utilise her spare time to give back to the community. 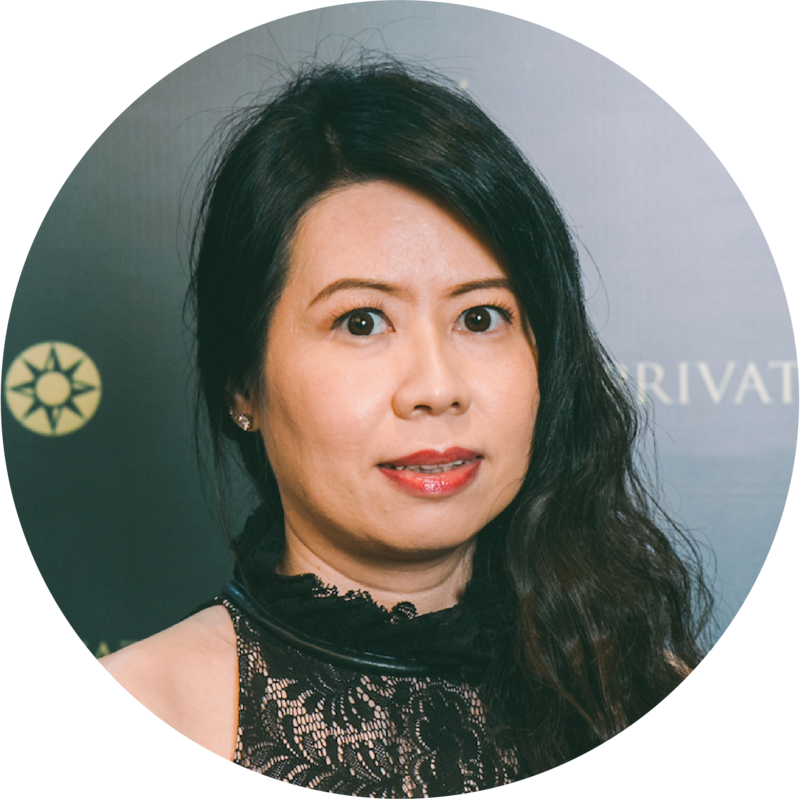 Charis joined Asian Private Banker in 2018 as Sales Administrator and undertakes administrative and secretarial work for the sales team. She studied Administration and Public Management at the City University of Hong Kong and, in her spare time, enjoys sports like badminton and running. 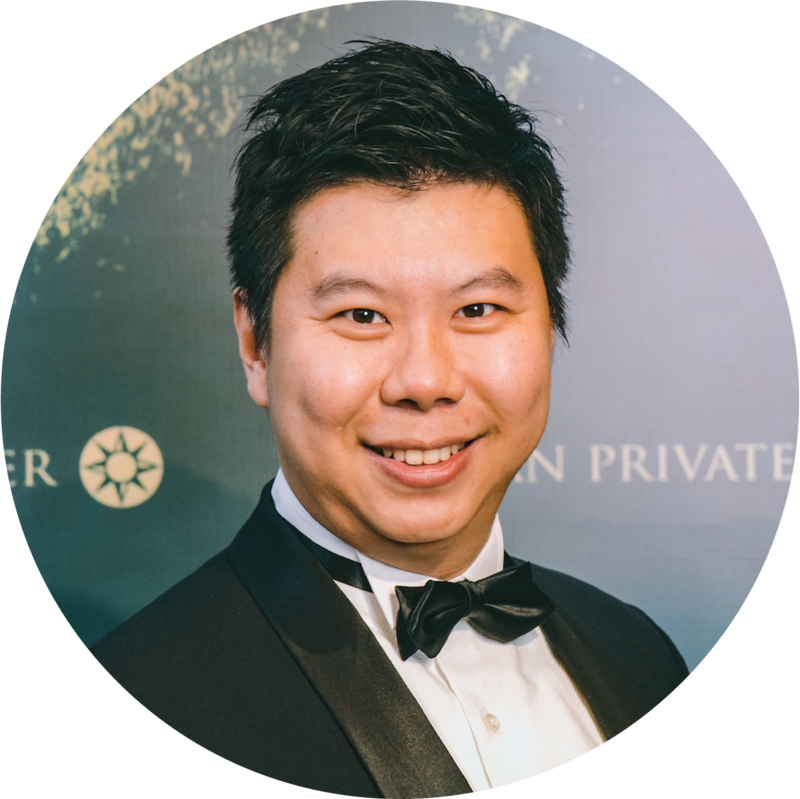 Gerard joined Asian Private Banker in the last quarter of 2018.Gerard has been working in Hong Kong for the last six years with international recruitment firms and have just moved into the events industry the most recent two years. 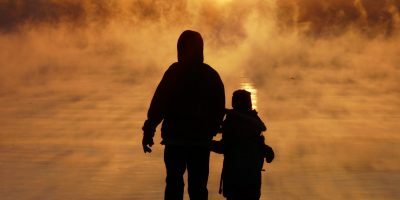 Gerard is an avid video game player, self-declared foodie and a father of a beautiful daughter. 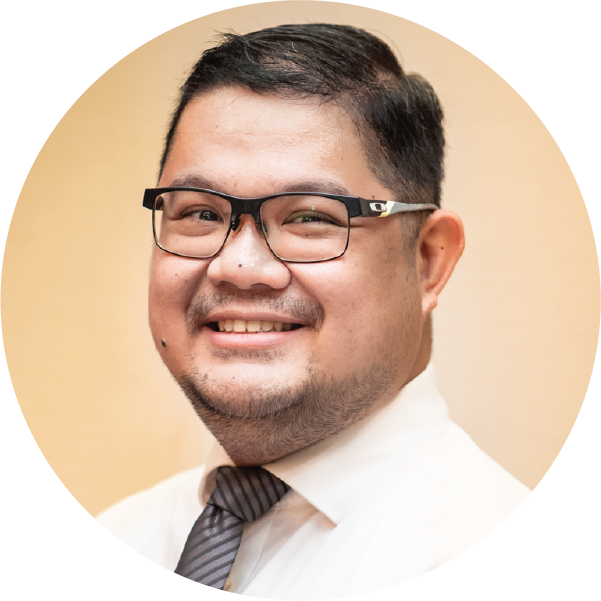 Aleck joined Asian Private Banker in April 2018 as Event Associate. Prior to joining, Aleck worked in Performing Arts Operation in West Kowloon Cultural District. Aleck graduated from Lingnan University with a BSocSc in China and Asia Pacific Studies. 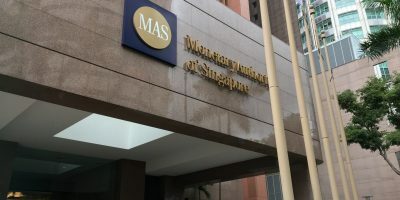 Lisa joined Asian Private Banker in 2018 as a researcher. She is primarily responsible for conducting research on the fund selection activities of private banks in Asia. 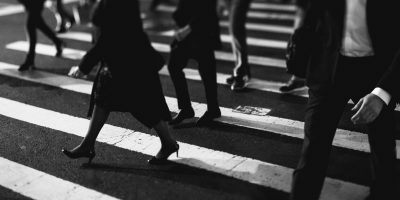 Prior to Asian Private Banker, Lisa worked at a Hong Kong-based multi-family office and was responsible for supporting clients and prospects. She holds a Bachelor in Economics and Finance from The University of Hong Kong. Lisa loves hiking, running, and travelling in her spare time. 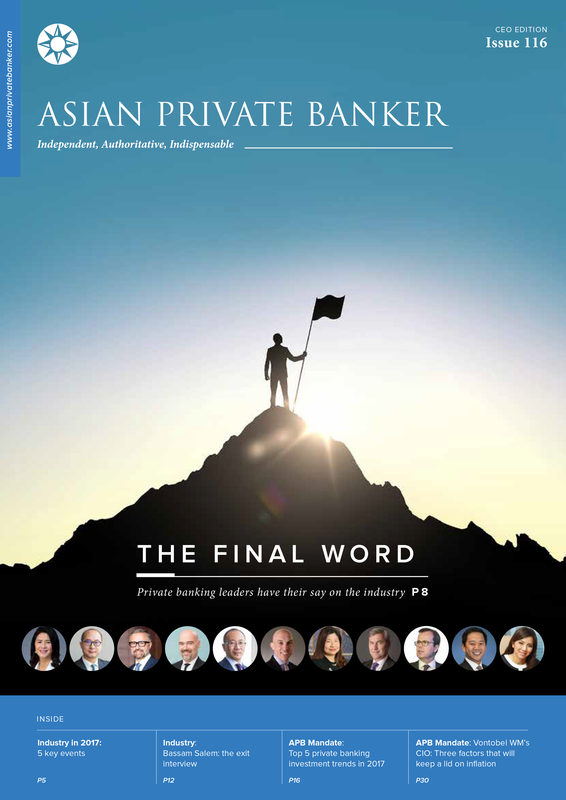 We have Asia’s largest bureau of private banking reporters and researchers producing Asia’s definitive daily intelligence and news service on the major trends, people moves, market data, and regulations affecting Asia’s private banking and wealth management industries. 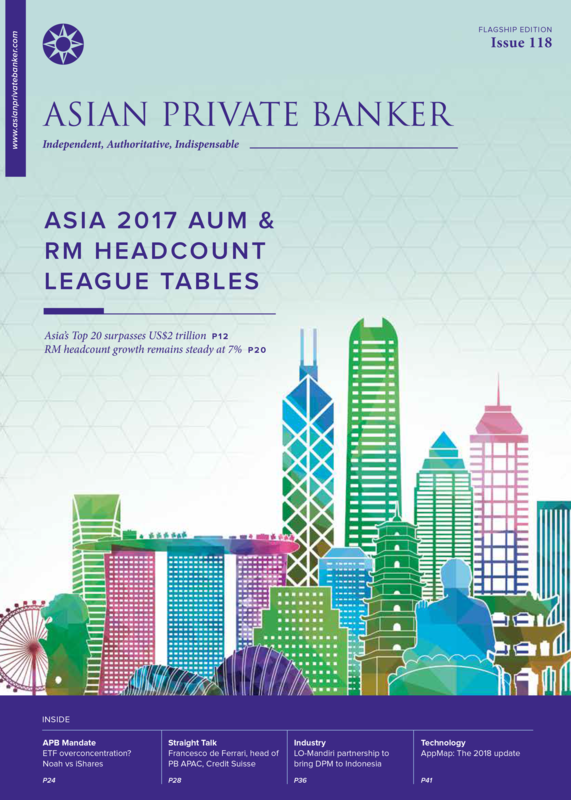 Join 8,000+ private banking, family office and investment professionals who rely on Asian Private Banker’s unique intelligence and data. 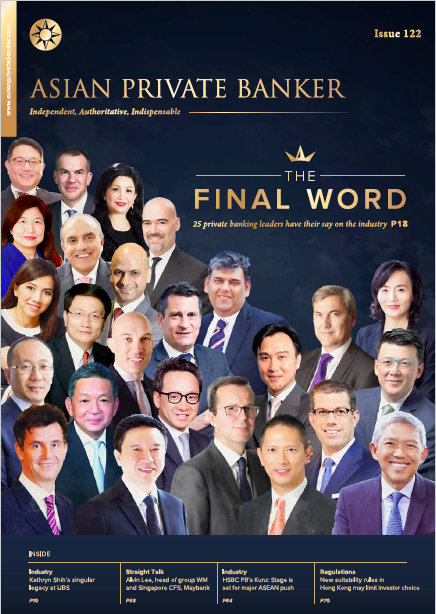 With a print circulation of 4,105 and a readership of 12,300, our Print & Digital Magazine is an invaluable source of information, commentary and illumination for everyone who works with, or within, the private banking industry in Asia. 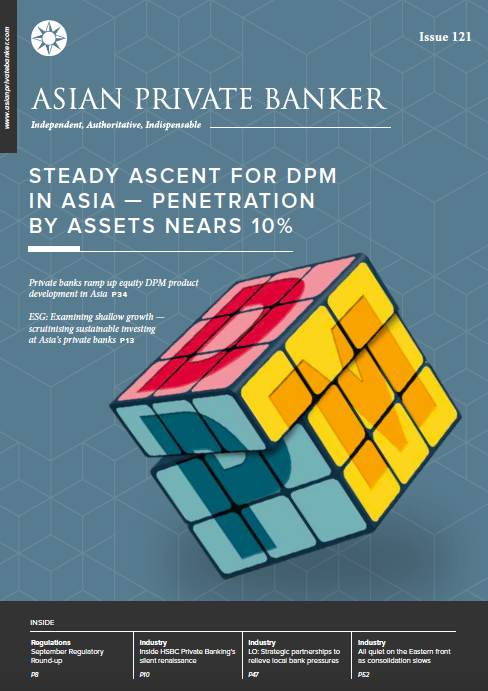 Our trusted position within Asia’s private banking community enables us to discover, dissect, and disseminate the benchmark series of data sets for the industry in Asia. Small, Elite and often Bespoke. 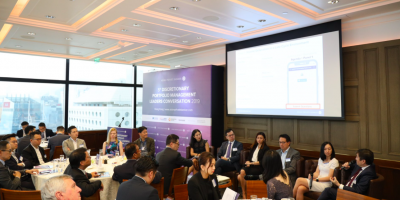 In addition to our Signature Events, we host tailored breakfasts, luncheons, roundtables and small-scale functions that bring together the key decision makers in Asia’s private banking industry. No bespoke function we host is larger than 100 people, with all functions attended by only the “right people”. 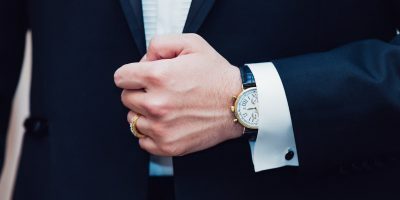 For our bespoke functions, so confident are we in our ability – to deliver the “right people” – that we will split any commercial risk with the client and only charge for a function after it has been held, based on the quality and quantity of actual attendees. 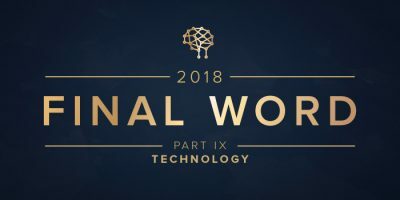 Each year, we host the only functions in Asia which are designed for the private banking and wealth management industry. 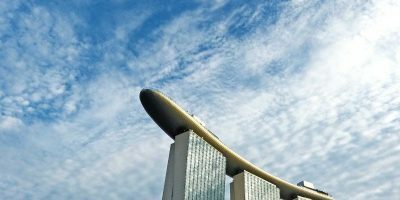 Celebrating 10 years, this year’s Asian Private Banker Summit has grown to attract the upper echelons of talent from all of Asia’s private banks, with regional leaders addressing at each Summit. Over 800 private bankers and family office professionals joined these summits in 2018. 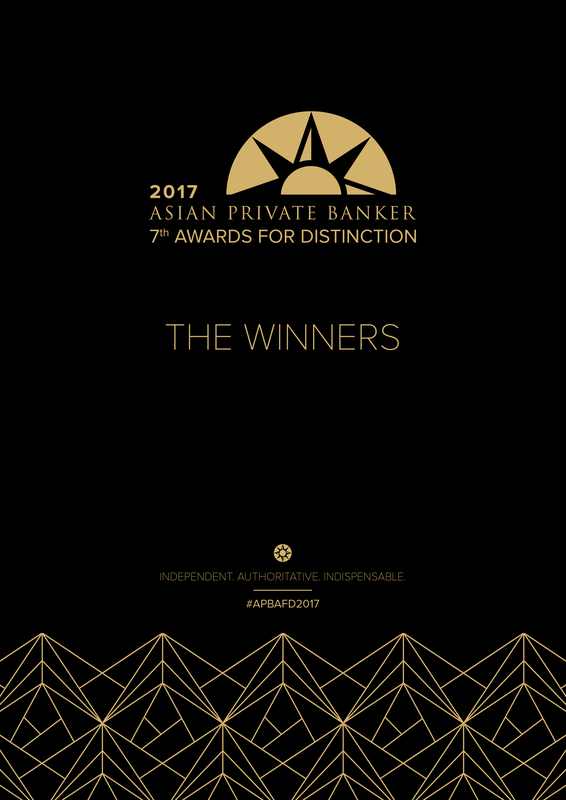 Asian Private Banker’s Signature Awards are the industry’s most prestigious accolades, honouring private banks and their providers for excellence in performance and service. 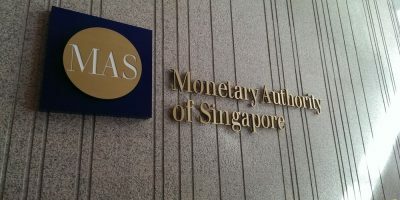 Currently, Asian Private Banker’s awards represent and recognise the best of the following communities: private banks, asset managers, structured product providers and fintech providers.